See our Facebook page for photos from recent HMK shows. BRAND NEW GARY HOLTON DVD! For the first time ever, Gary's family and band mates come together to remember the Rock and Roll Man! This brand new DVD has extended interviews with Gary's wife Donna and his dad Ernie. The film is packed with previously unseen photos and Cine8 footage whilst Keith Boyce and Ronnie Thomas regale viewers with their tales of Gary and life on the road with the original punks Heavy Metal Kids. 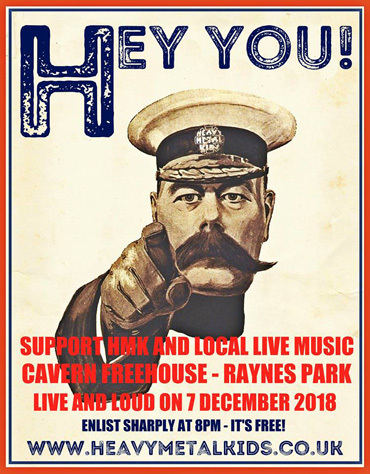 And when you've watched all that, there's six bonus videos of HMK live at the Gary Holton tribute gig in October 2015 to rattle your ear drums! 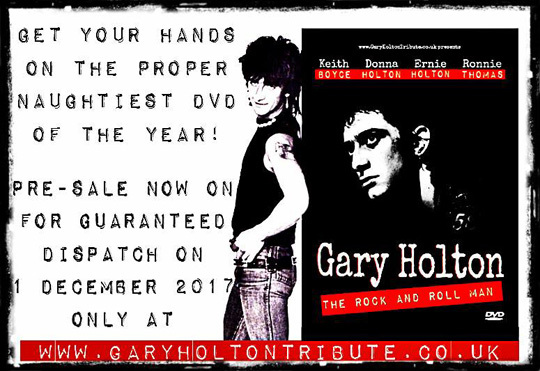 The DVD is region free so you can enjoy it wherever you are on the planet and you can order your copy now at www.garyholtontribute.co.uk. For UK buyers the DVD is £15 with free Royal Mail delivery and £20 for Airmail delivery everywhere else. This site is dedicated to the memory of Heavy Metal Kids Gary Holton and Mickey Waller.